Lions club president Rick Walton (left) poses with two more club members who've been recently honored with awards. Lion Brian Kline (center) was recognized as a recipient of the "Sable" award presented by District Governor Julaine Arient-Rollman to those Lions who "work behind the scenes and don't strive for the limelight." Lion Tim Cleveland (right) was recognized for 15 years of service as a Lion. Our congratulations to both Lion Kline and Lion Cleveland! 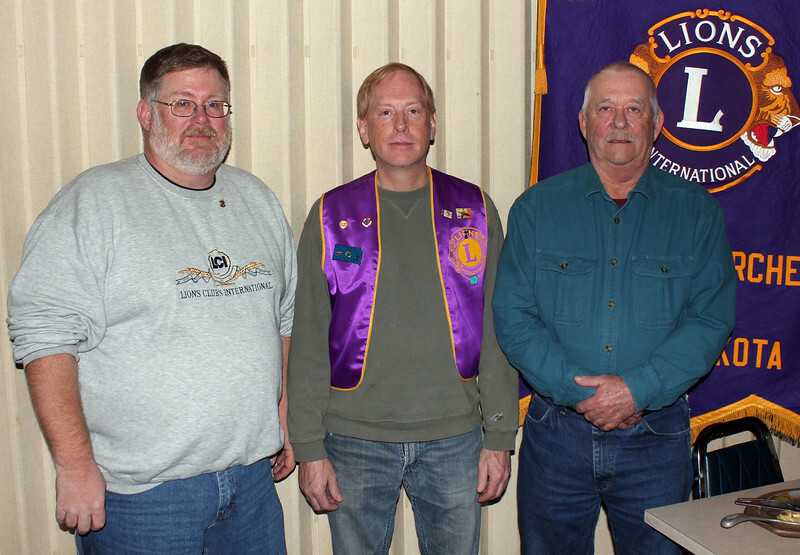 Return to Belle Fourche Lions Club website.